ACEx Turbines has raised the bar in standard and excellence! Bridging the gap between ordinary and extraordinary! At ACEx Turbines, we bring to you a top tier product with unparalleled customer service and support! ACEx is not just another turbine company. We exist through our love for RC turbine flying and are supported by over 30 years of on hand experience with turbine engines. Our staff are avid pilots and provide a level of service not ever heard of in the RC industry. ACEx are constructed of the highest quality materials and are all pre-tested/precision tuned and quality assured at our facility located in New York before shipping to our patrons. Each turbine is not only sold as a turbine unit, it is sold with our Elite ACEx Experience. This Experience offers one on one customer support from our turbine pilots and technical team. Our turbines are sold in the USA and we proudly announce our Service Center is located in New York with the expert services by CRX Turbines. When you purchase ACEx, you are welcomed into the next level of elite services and industry leading Turbine Engine technology. We are the name that engineered the ‘Auto Restart System’. Proud to be in the USA and proud to be a member of the turbine pilot’s society! 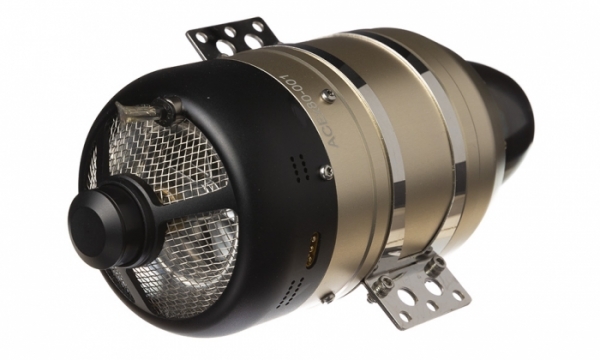 ACEx 1st Year Warranty - First year warranty coverage begins the day you receive your motor. 1st year warranty is stem to stern with the exception of exclusions which are covered in our manual. Examples of not covered damages are as follows: Crash, water damage (flood), FOD, User Error, etc. ACEx 25 hour turbine service – Suggested 25 Hour service cost is $300.00. During this service, the motor is examined for any signs of wear. Bearings are changed and the unit is re-balanced. Any needed, warranted parts are replaced with the service. For items not covered under warranty, the owner will be contacted before any work is commenced in order to discuss any estimated costs. Please refer to our manual for more warranty and service interval details and exclusions. Replacement of Glow plug - CRX will replace the glow plug upon 25 hour inspection. This is not mandatory but strongly suggested. Due to the fact that the glow plug is internal to the engine, replacing the plug requires a complete breakdown of the engine. Balancing is required so it makes good sense to replace the plug at regular intervals.